A Very #MagicalMeetup at Disneyland! Last Friday evening, Disneyland through their Disney Parks Blog invited 750 of their fans to come experience their new show at the FantasyLand Theatre, “Mickey and the Magical Map.” It was a very MagicalMeetup. I was one of those lucky 750 to experience this fun #magicalmeetup at Disneyland, and believe it or not, it was my first evening back to Disneyland since moving to California nearly 2 1/2 years ago. Growing up watching the Disney movies, and experiencing a very magical trip when I was in 3rd grade to Walt Disney World, the land of Disney has always had a very special place in my heart, so when the opportunity came for a special night the little kid in me came out. 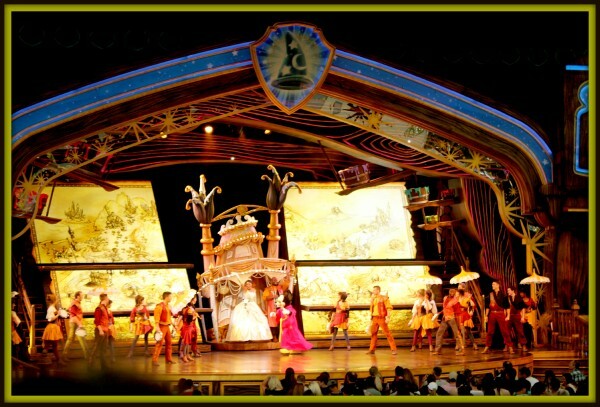 Mickey and the Magical Map is a cute little show at the theatre that follows Mickey on an amazing journey with a magical map as your guide. 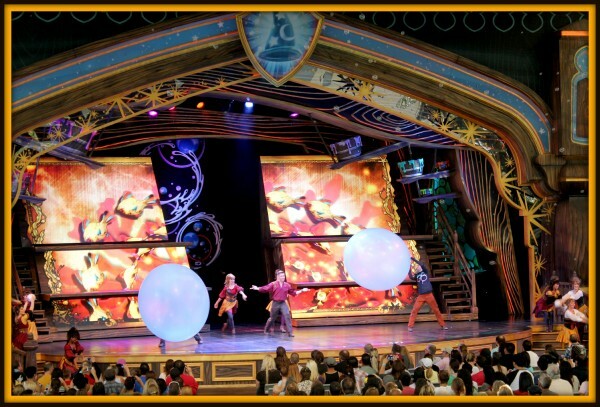 Live music, dancers, and special characters from your favorite Disney movies come to live before you on stage. 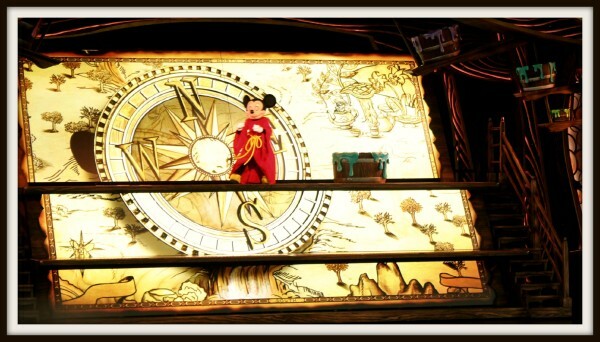 Come along as the magical map brings Mickey to new worlds, and as he unlocks new discoveries. The theatre has recently been renovated to incorporate the latest theatrical technology in a live outdoor setting. After the show, Jaime from Polka Dots on Parade and myself explored the theme park, and lived my dream of being a kid again. One of my favorite rides growing up was “It’s a Small World.” Had great memories with my grandmother on this ride during my first visit to Walt Disney World. Other rides we went on that night included Captain EO, Mr. Toad’s Wild Ride, Pirates of the Caribbean, The Haunted Mansion, Splash Mountain and the Teacups. Memories flooded through my head as I went on these rides again. Memories from Walt Disney World from previous trips, and memories from my first visit to Disneyland back in college. Disneyland is really the happiest place on Earth. And by the end of the night, I truly remembered why I fell in love with the Disney Theme Parks in the first place. What’s your favorite ride in Disneyland? Disclosure: I was provided with complimentary tickets to Disneyland to see Mickey and the Magical Map. 13 Responses to A Very #MagicalMeetup at Disneyland! 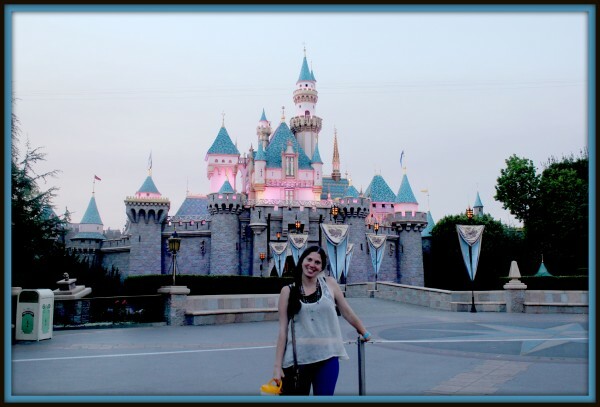 I love that picture of you in front of the castle!!! Thank you so much for taking me and for the shout out! Best night ever!!! Yay! Disneyland is so much fun…and loved the Magical Map. Thanks for stopping by Jill… Disneyland is one of those places that I don’t like going “often” but when I do it’s enough to relive the magic all over again. There is something special about Disney! 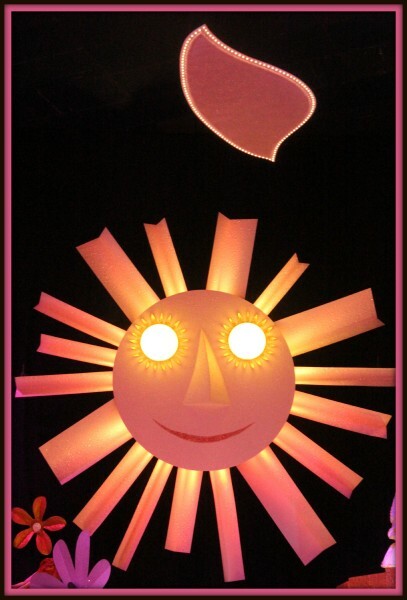 I grew up going to Disney World and it will always hold a special place in my heart…. 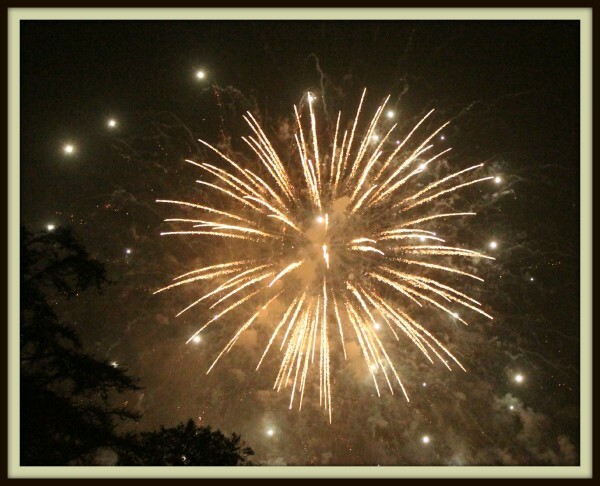 Wow, great shot of the fireworks. I used to love going and seeing the Main Street Electrical Parade. Do they still do that there? I haven’t been to Disneyland since 2006! Thanks for stopping by Lindsay. Yes, they still do the parade.. I’m not sure if it’s still the “electrical” parade though or not. Oh Disneyland is so much fun! I am hoping to get back there this summer. My favorite ride would have to be the Haunted Mansion. I still cannot figure out how they make those effects. My family has been to Disneyland so many times I can “feel” the air and the touch of the various handrails and ride just looking at photos! It’s been a great experience for us – especially since our daughter has Down Syndrome and we are allowed the guest pass, which makes all the difference. Honestly if it weren’t for that pass she wouldn’t be able to “handle” the entire experience. Love it!